Born and raised in New Jersey, Kim Hastreiter received her BFA from Nova Scotia School of Art and Design and her MFA from California Institute of the Arts in Valencia, CA where she was mentored by the conceptual artist John Baldessari. In 1976 she moved to New York to become an artist. To pay the rent, she sold clothes at a Madison Ave. shop where she became known for the window displays she created. There she gained extensive knowledge about fashion yet still was fascinated with its connection to art. Photographer Bill Cunningham introduced her to her journalistic career when he recommended her for a job as the Style Editor of the SoHo Weekly News in 1979. There she met David Hershkovits, and worked with him there until the weekly folded in 1982. In 1984, Ms. Hastreiter (along with David Hershkovits) founded PAPER Magazine with $4,000 at her kitchen table. Thirty years later, Hastreiter and Hershkovits still own, edit and publish PAPER which now has a circulation of over 150,000 readers internationally and is widely recognized as one of the most successful and well respected alternative, and still independent magazines. In 1995 Hershkovits and Hastreiter founded a daily site called PAPERMAG.com which is part of a multimedia subsidiary of PAPER Publishing Co. The site has over one million individual visitors per month and has won a prestigious WEBBY Award for the BEST FASHION SITE. Hastreiter is not only the co publisher/editor of both magazine and site but also acts as fashion director and writes a monthly column on style and design. In 2003, the duo founded EXTRA EXTRA, a strategic marketing, consulting and event production agency. Today Extra Extra is a major part of PAPER Communications and works with large corporate clients likeTarget, American Express and Levis. Hastreiter also has curatorial experience and has curated large shows at Holly Solomon Gallery (in June 1999). Hastreiter also curated a three day fashion event in the tents in Bryant park during fashion week called Lab, Launchpad, Lounge, a PAPER project at Seventh on Sixth in 1999. This event was a festival of young design talent curated, directed and produced by Hastreiter during Fashion Week of February 2000. Additionally she has curated The PAPER Project New York, an annual show of fashion, art and inspiration at Deitch Projects a gallery in Soho, which is a one day art, design, and style festival drawing fifteen hundred visitors. This morphed into something called The Art Parade, an annual parade of artists marching through the streets every September expanding to Los Angeles for a weeklong cultural event every year. She has curated a four day art store in conjunction with Jeffrey Deitch at Art Basel in Miami in 2006 and a series of “SuperDUPERMarkets” which celebrate the cutting edge in artisanal food making in America. Hastreiter is currently helping with with an upcoming retrospective for the late designer Stephen Sprouse who was a close friend. She was also recently invited by the CFDA to curate a retrospective of the work of Geoffrey Beene (in 2008) and was asked to write an accompanying book about the designers work to be published by Assouline in 2008. In 2010, Hastreiter wrote a book about the life and work of Geoffrey Beene (published by Assouline) Hastreiter (and her partner Hershkovits) also authored their first book in Spring 2000, called “From Abfab to Zen, PAPERs Guide to Pop Culture”, published by D.A.P in both English and Japanese. The teams second book called “Twenty Years of Style” was published by Harper Collins in September 2005. Ms. Hastreiter presently serves on the CFDA (Council of Fashion Designers of America) nominating and voting Committee and has served for the past eleven years as a member of the Ecco Domani Fashion Foundation nominating and voting committee for fashion scholarships.Hastreiter was honored in 2010 with the CFDA award for fashion journalism and the following year won the ACE award for fashion journalism. This fall she will be honored as a ‚“legend“ by Pratt Institute at their annual ‚“LEGENDS AWARD“ gala. 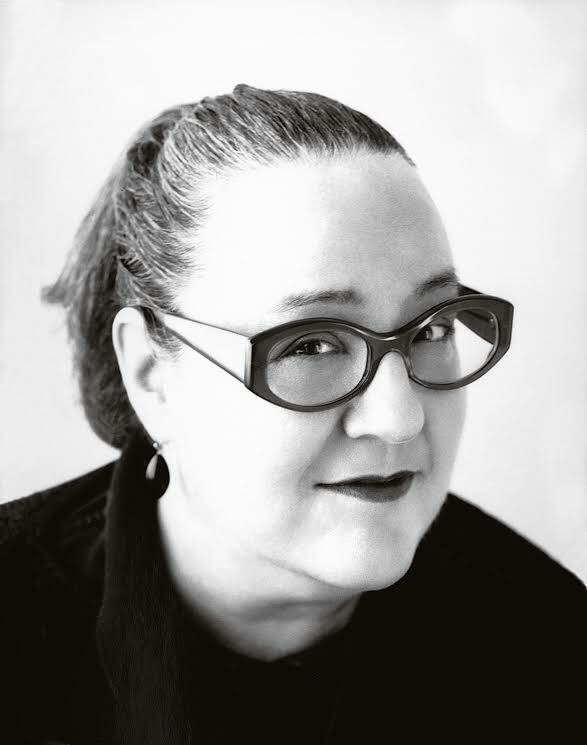 She has been profiled in the New Yorker, the N.Y. Times Style section, in Cranes NY, Newsday, The LA Times, The Chicago Tribune, Womens Wear Daily, the Business of Fashion as well as on the cover of Folio Magazine. In her spare time, Hastreiter serves as a member of the board of advisories for Creative Growth Art Center, the Headlands Art Institute and the Maysles Film Institute.